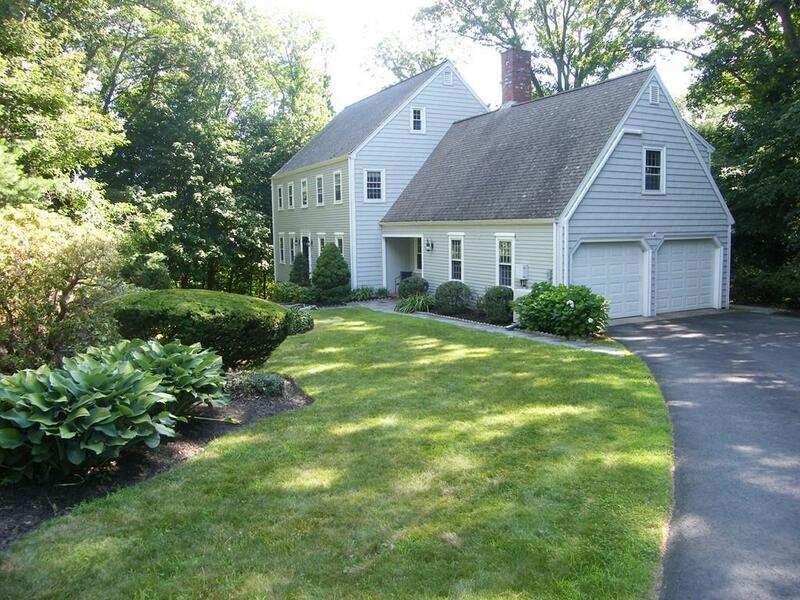 Excellent opportunity to live in Cohasset - Classic center entrance Colonial with over 3500 sq.ft. of living space. Stroll to the village and enjoy the fine eateries & shops - walk to the Harbor - enjoy the ocean breezes. Home consists of 11 rooms. First floor features front to back living room, an updated kitchen with stainless appliances adjoining dining area with fireplace- with french doors that open to a three seasons porch overlooking a private yard.. A sitting/family room is adjacent to the kitchen. There is a second large family room/play room located over the garage and is accessed by stairs off the dining area. Three good sized bedrooms are on the 2nd floor- includes a master bedroom with master bath and an additional full bath. Two additional bedrooms and half bath are on the third level. Area amenities - town pool & beach, commuter train and boat walking trails & ball fields. A great home to build your family memories.